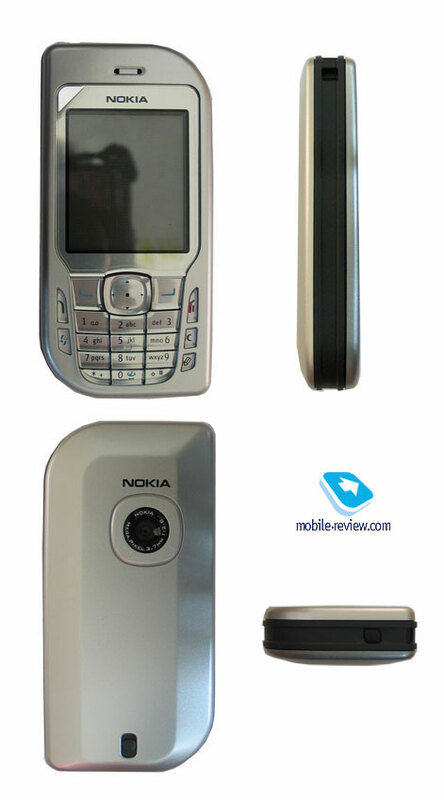 First Nokia 7610 was released as a fashion solution and it was intended for those who love fashionable stuff. Some users interested in technological innovations also bought the device because it was one of the first with a megapixel camera and no doubt the most popular one. Statements of our readers saying that the smartphone is not a fashion phone but rather a business one look mistaken today. The model is really rich in functions but the design is a decisive factor. 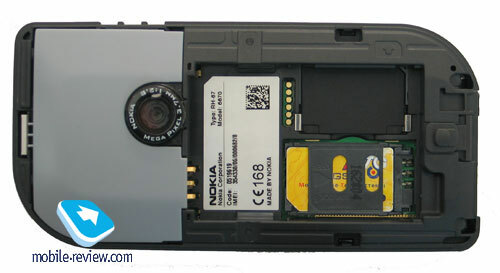 In Nokia 6670 the design was the thing to change, the device became stricter though roundish corners remained. This solution is rather disputable and ambiguous for the category. It is partly lived down by the strictness of the appearance and it is in some kind a frivolous design element pointing out the devices are similar and successive. The weight remained the same (118 g) while the device itself got two mm thicker (108.6x53x20.9 mm). There is enough space under the back cover and thus the inner capacity of the phone increased. The first supposition was this extra thickness of the phone was for batteries with expanded capacity. 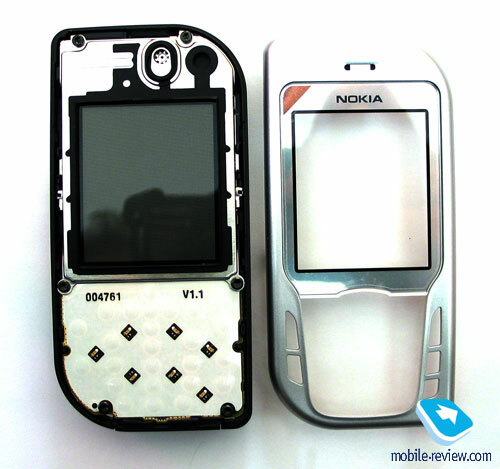 But we didn't manage to find such an offer by any company and this is similar to Nokia 7610. So, it's still not clear what accessory caused this increase of the size but I doubt seeing it at all. 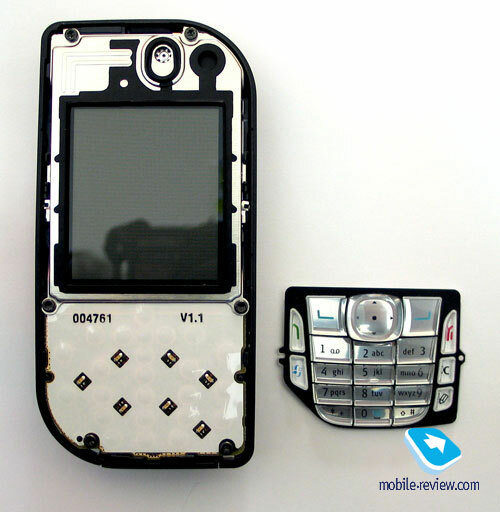 One more supposition is also lifelike, the phone was made thicker for the owners couldn't use panels for 7610 in Nokia 6670. The device is produced in two colour solutions - Aluminum Grey, Deep Blue. And both look strict enough. The manufacturer foreseen a possibility of changing the body with the help of interchangeable panels but now they are present only in standard colours. I suppose that the majority of the panels will be produced by third party manufacturers. The keypad is a bit splay, the keys are small and deeply sunk into the body. The keypad obviously needs getting used to and is impossible to be considered either bad or too comfortable. It is rather average in comfort. The backlighting is blue and the characters are seen well not in all the conditions (due to the small key size). As for me, a business phone should be equipped with a more comfortable keyboard because it's the only way of data input in a smartphone. We won't describe possibilities of the megapixel camera, the smartphone itself, its productivity and capabilities of the 60 platform. There are links to corresponding articles in the end of the review and the information there is applicable to the device. Representing the model as a business solution the manufacturer sells it for a less price than Nokia 7610. The difference in the price is about 50 USD and will gradually increase. The model won't certainly be a bestseller due to two factors. 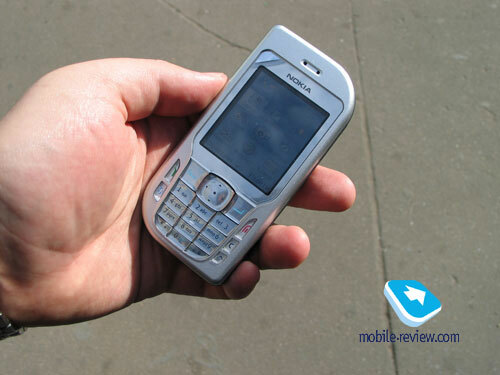 First, the market is saturated with Nokia 7610 already bought by many users. Second, the absence of the focus on the promotion of the model. The advertising campaign will hardly be concentrated on Nokia 6670 and that is more probable the company will pay more attention to a problem Nokia 6260 to increase its sales. The conclusion is Nokia 6670 will have average but stable sales. 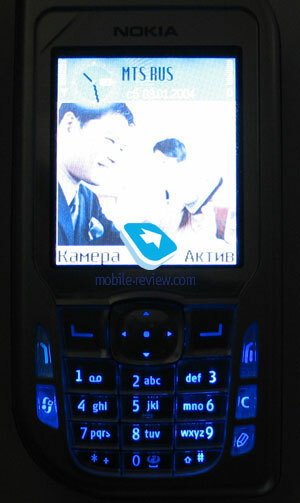 It is the main offer for a business audience by the company and in some kind it is an intermediate product in a wait for Nokia 6630.